Combining the Southern traditions of Lowcounty with the brand’s signature California casual luxury, Montage Palmetto Bluff hits a sweet spot. It was our third day at Montage Palmetto Bluff slowing down from hot and heavy August air in Lowcountry. We stood waiting for one the resort’s boats to tour and enjoy lagoon views of the resort’s private residences. We didn’t hear the The Bluff approach with it’s silent, electric motor. Boarding the electric boat to tour the lagoon areas. Since I bribed my children with promises of chocolate later, they tolerated my passion for residential architecture and boarded without fuss. Soon they were lying horizontal lulled to a drowsy state from the gentleness of the boat’s movements and the heat. I looked at both my kids who were relaxed and worn out from our previous days, eyes closed with subtle smiles on their faces. 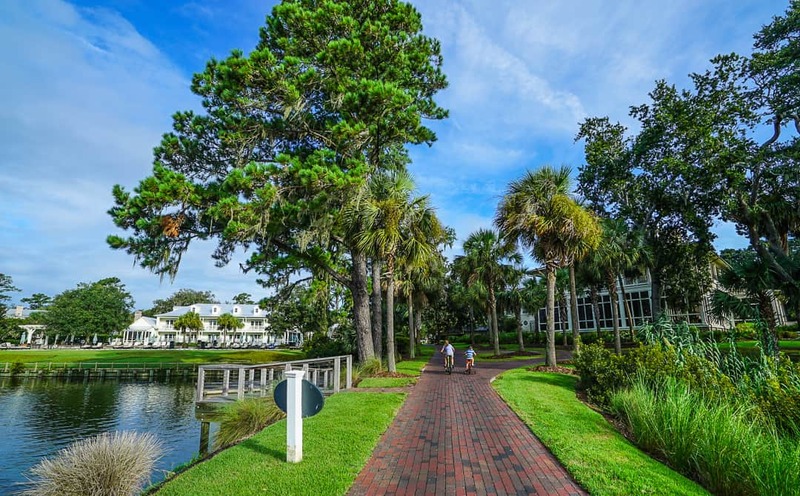 We had found our singular definition of a summer vacation paradise at Montage Palmetto Bluff. Worn out from the best type of family vacation. 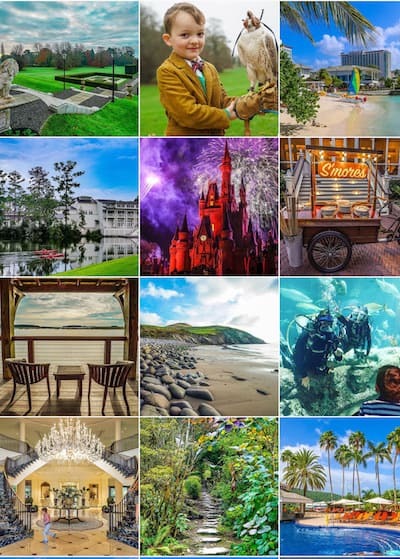 Browse Luxe Recess, and you can see I have featured many of the great resorts in the United States, but I can honestly say there is no place like the Montage Palmetto Bluff. 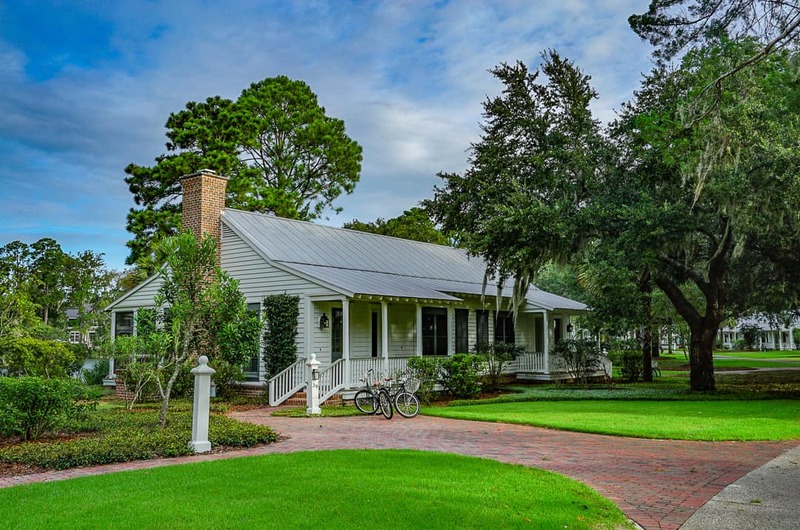 Regulars of Sea Island, Kiawah, and Hilton Head will find an equally beautiful and luxe retreat where guests can really get closer to nature without making any sacrifices in creature comforts. This is a Legend property of Preferred Hotels, so it’s all five-star. 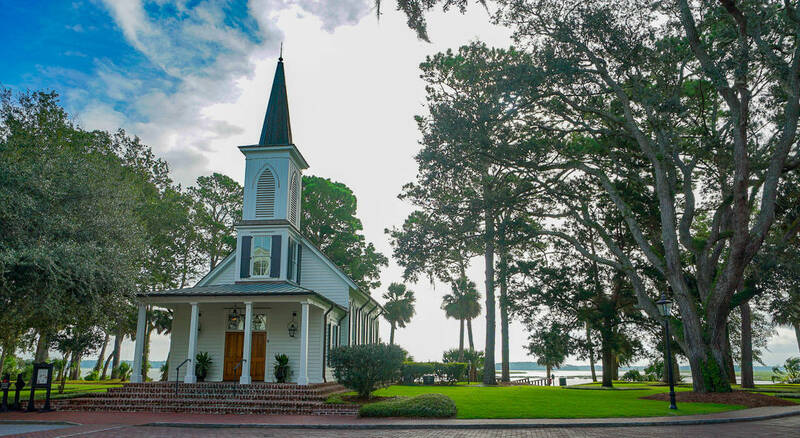 Ever heard of Bluffton, South Carolina? It isn’t far from Hilton Head or Savannah, Georgia, and is actually about twenty minutes to each. A sign at Moreland Village tells you where Bluffton is. 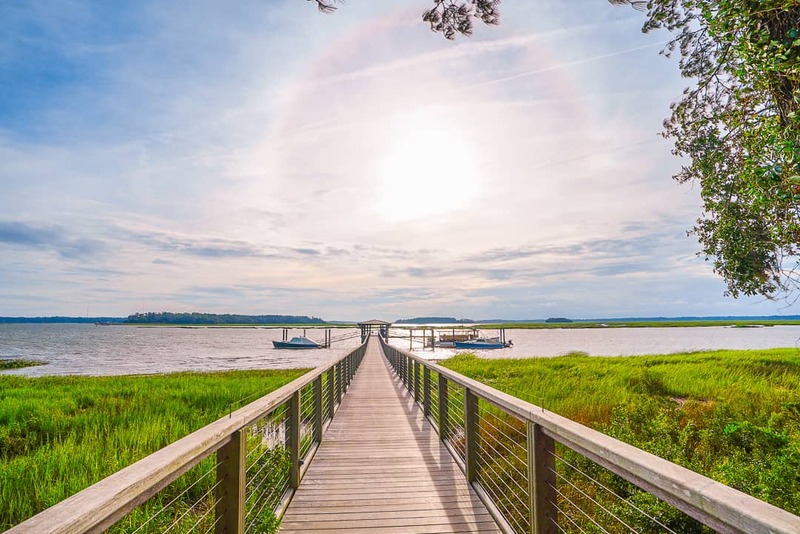 Although Hilton Head can boast beaches, its dense development has made it less of a desirable choice for those who likes things a little quieter and with fewer crowds. 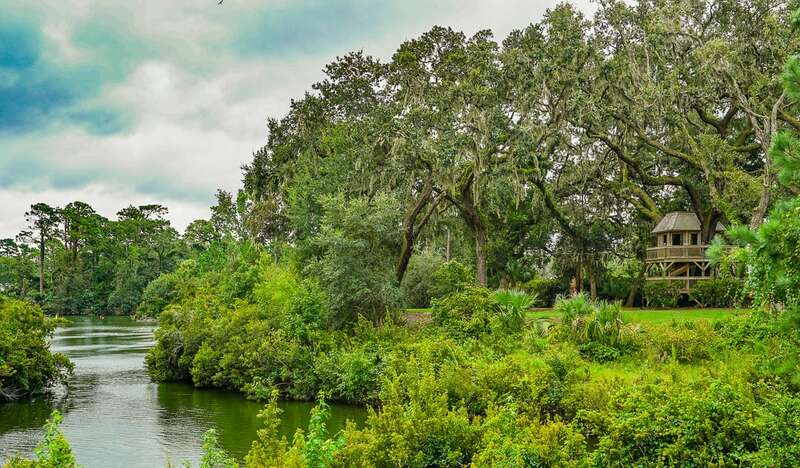 Montage Palmetto Bluff offers a unique landscape of river, marsh, and forest all in one. 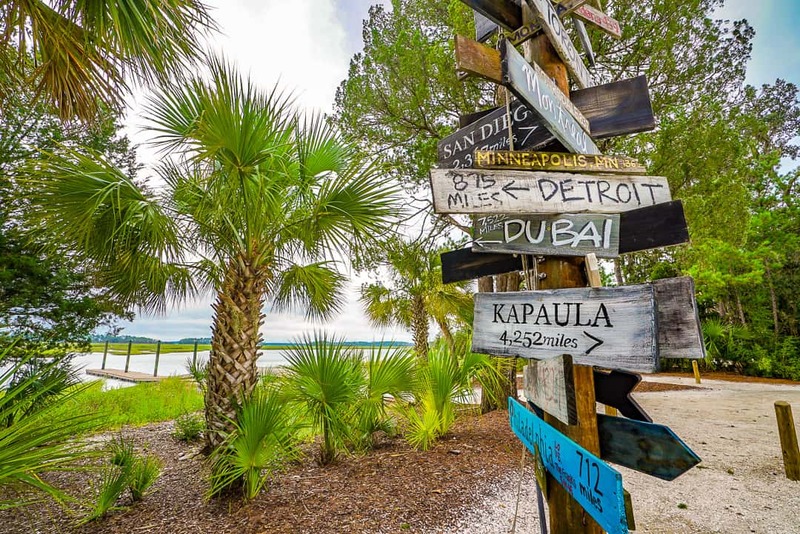 Palmetto Bluff is the opposite of Hilton Head Island. It seems like its vast acreage could never be fully developed, and the crowds disperse well in this community giving each guest a sense of temporary ownership of this unique combination of river, marsh, and forest. Just reaching the front desk is a journey. Once you enter the Palmetto Bluff security gates, you have several miles of road ahead. 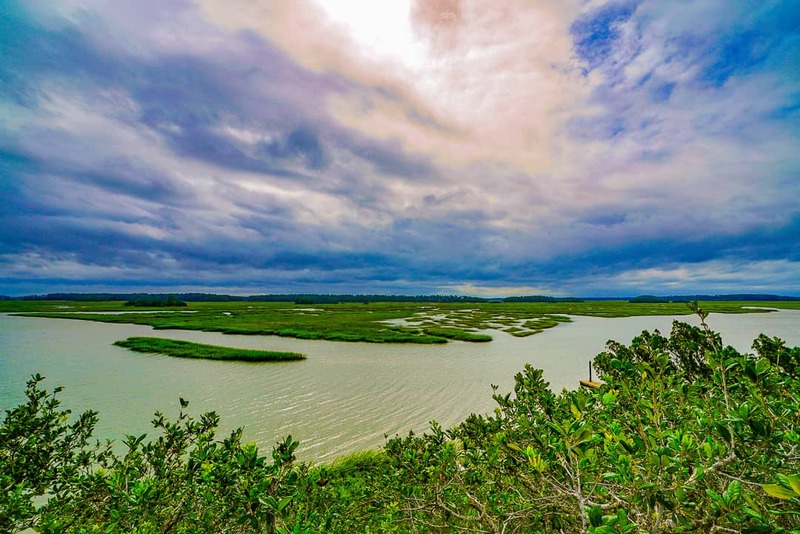 Palmetto Bluff refers to the massive 20,000 acre community along the May River. 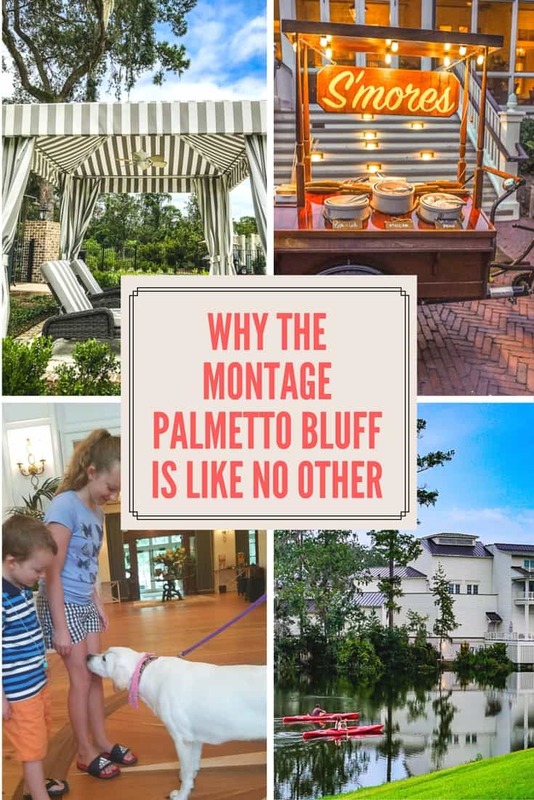 The Montage took over the Inn at Palmetto Bluff in 2014. 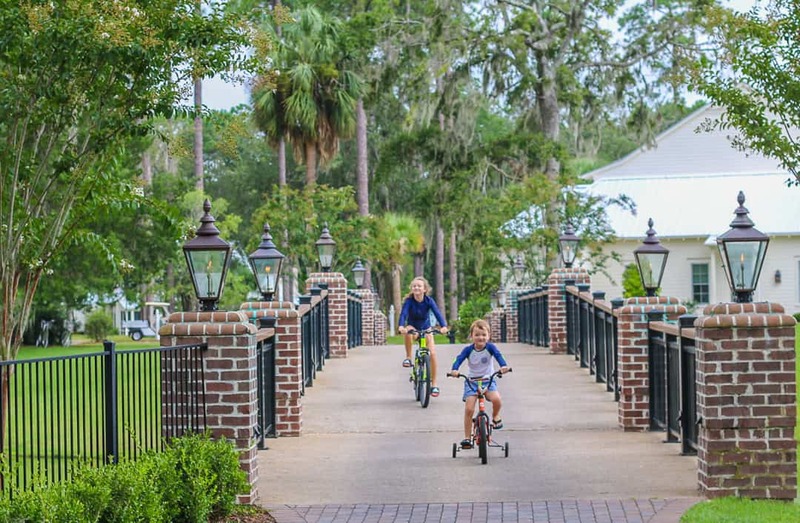 Palmetto Bluff concentrates its many amenities at the Inn, Wilson Village, and the new Moreland Village. Private residences fill in the rest of the space. The main building showcases a traditional Southern style with multistory white columns. 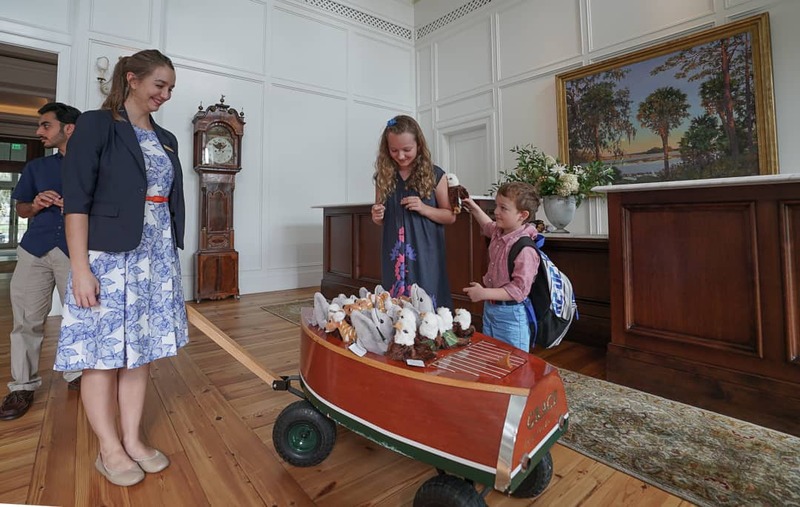 While I admired the navigational elements of the lobby’s parquet floor, a front desk associate wheeled a beautiful yacht inspired wagon to my children. It contained plush animals of local inhabitants: dolphins, deer, eagles, and gators hidden in the back compartment. 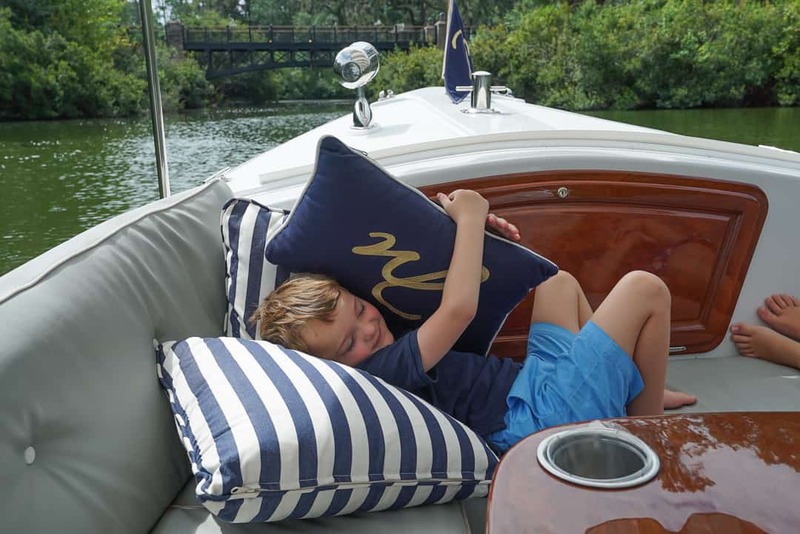 A plush welcome for kids at Montage Palmetto Bluff. So at the Montage Palmetto Bluff, the first thing you do after check-in is not unpack your suitcases. You take the golf cart with the bellman to the bike shop where each family member can rent bikes for their stay. The shop’s selection was extensive for families, with add-on infant seats, children’s co-pilot extensions, and buggies. Guests not interested or able to cycle can rent golf carts to navigate all of the same paths. Guests who forgo both can always call the front desk for golf cart shuttles in between the resorts amenities and restaurants when biking in our Jimmy Choo sandals seems like a bad idea. The figure-eight paths in front of the cottages had no cars and little cart traffic, and it was very easy to let my kids bike around until dark like it was 1979. Once outfitted with bikes, there was so much to see of this resort. Here are the favorite places where our bikes took us. We loved biking everywhere without having to navigate car traffic. The Montage boasts two incredible tree houses on property. One is centrally located with a playground you will pass entering the resort. There’s a small zip line that younger children will love, especially if they haven’t tried zip lines before. 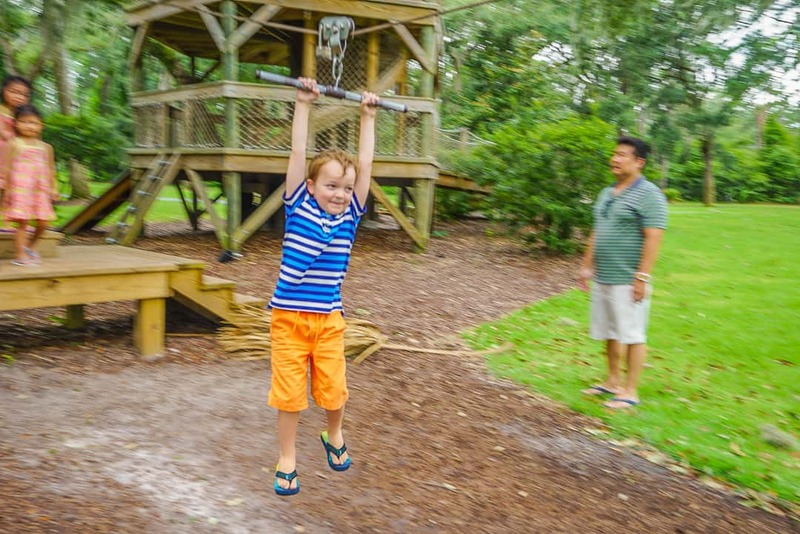 The Montage Palmetto Bluff tree houses provide children with a bird’s eye view of the spectacular landscape. The second, taller treehouse is further afoot and may be better reached by car (we used one of the resort’s S-series Mercedes that guests can borrow). 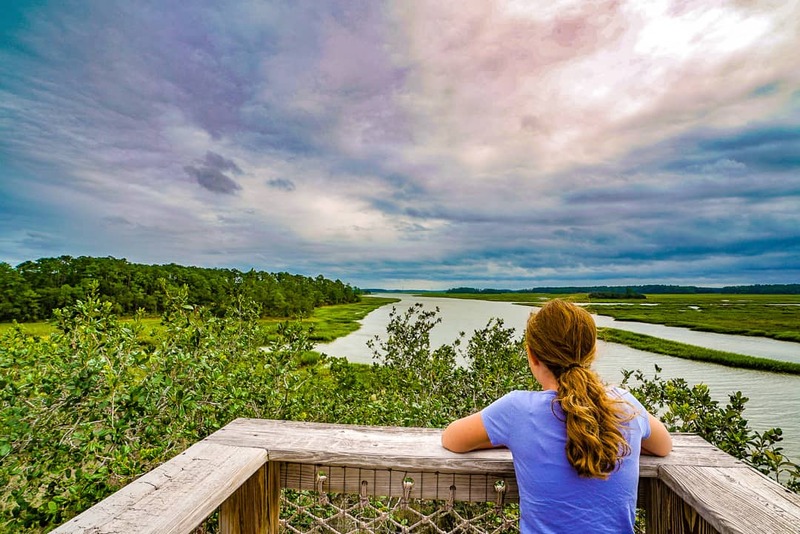 The views of the river and marshes are well worth the climb. 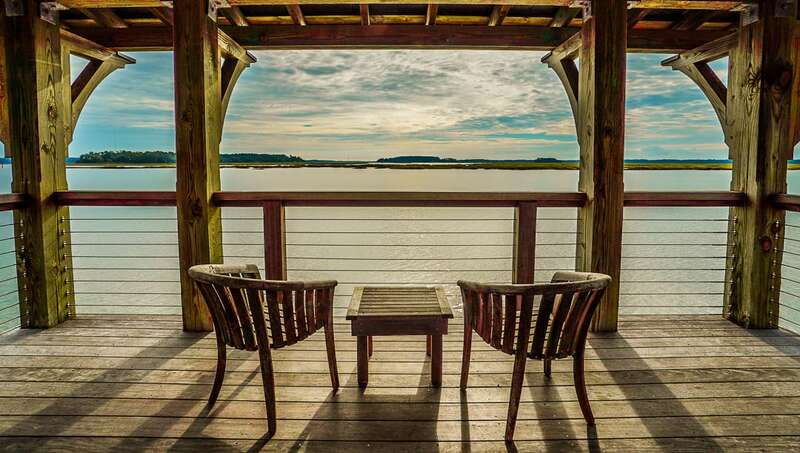 The tallest tree house at the Montage Palmetto Bluff offers spectacular views of the May River. After climbing the treehouse, we rested in hammocks nearby. Conservation is king at Montage Palmetto Bluff. Dr. Mary Socci, an on-site archaeologist, collaborates with both the developers and educates the guests on the rich ecological history of the area where woolly mammoth‘s roamed. Findings have dated back to 10,000 BC. Dr. Mary Socci gives us a glimpse at the excavation results of the fossil rich area in the Conversancy reading room. 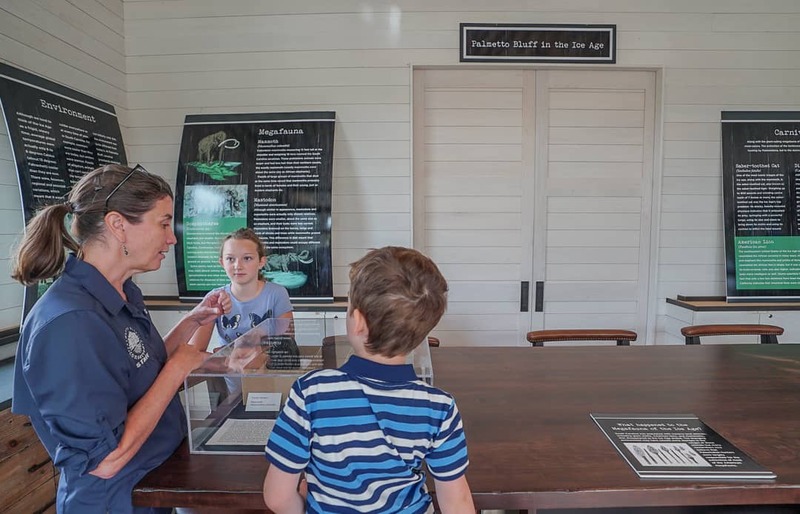 The conservation department has both an extensive reading library as well as a state of the art lecture and class room for programs to educate both residents and Inn guests with brown bag and First Friday lecture series. Few resorts have artists in residence. 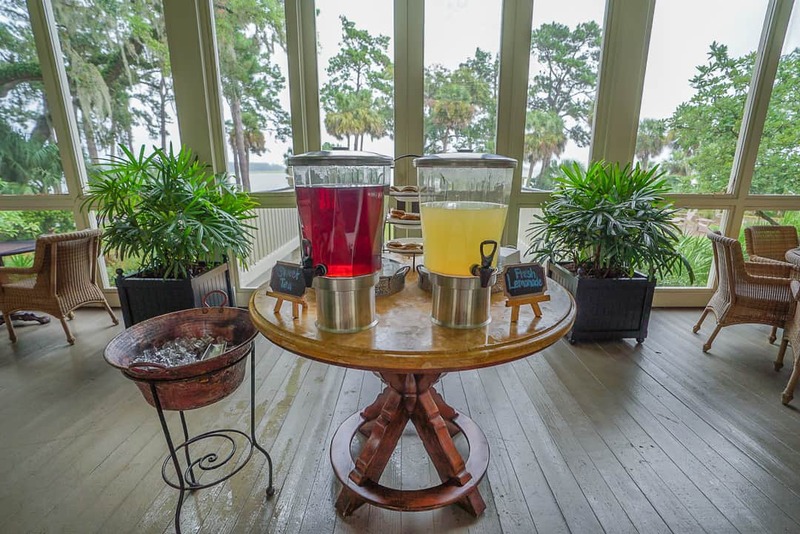 The Montage offers a chance for guests and members to interact with local artisans throughout the year, offer a range as varied as traditional Lowcountry basket weaving, cocktail mixing, jewelry making, textile designs, hunting decoys and ice cream making. Guests can learn from these artisans while often watching them in action. Combined with the Conservancy program, I don’t think there’s an East Coast resort that rivals this varied programming for guests and its residents. Moreland Village is brand new and offers a bowling alley and game room and an expansive studio for ceramics and art classes. Some of these amenities are for members, but others are available to all guests of the hotel. This sun and art filled bowling alley will make you want to wear bowling shoes. 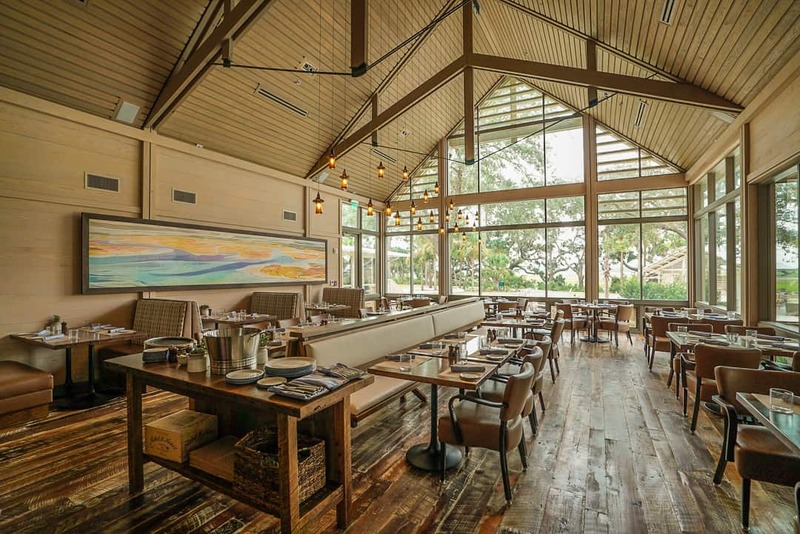 One of the things I loved so much about the property is how well the Montage’s West Coast casual luxe blends so nicely with a more formal Southern feel. Luxury in many forms to satisfy every style. A topographic map decorates the most beautiful bowling alley you have ever seen, created by a well regarded Southern artist. The game room, off of Cole’s restaurant and lounge, offers shuffleboard, foosball, and pool tables. 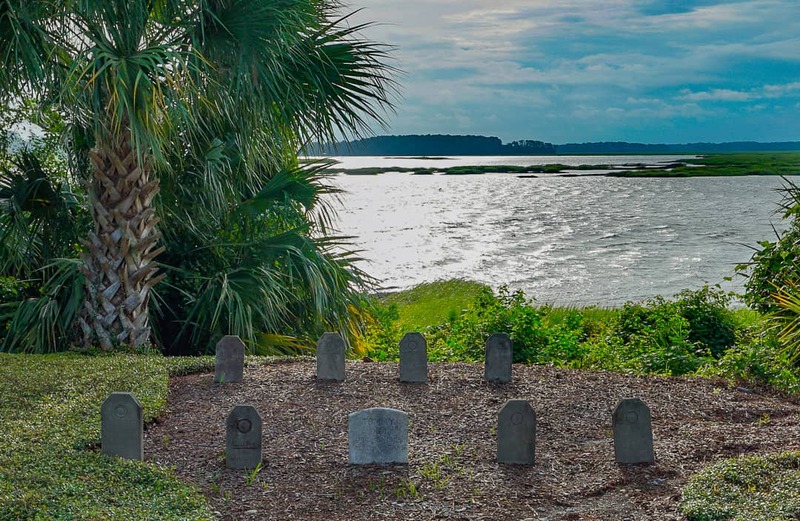 Adjacent to the May River lies a special plot of land you are sure to pass many times during your stay. The dog cemetery lies near the church overlooking the river in Wilson Village. All that is left of the original residence after a fire is not far away in the middle of the green. The dogs in the pet cemetery belonged to the Wilson family who built the original plantation and after whom the Wilson Village is named. The chapel next to the dog cemetery is more commonly used for weddings than pet funerals these days. Every day, the resort has three delicious traditions done well. Porching evolves into a verb at River House. Guests enjoy a tea and lemonade display with cookies in the late afternoon. After dinner, guests can return to the same spot for some serious S’mores. 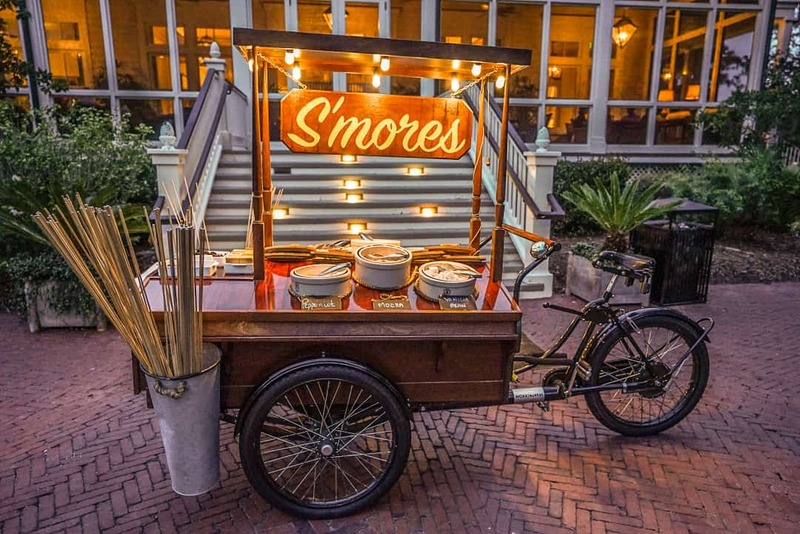 The resort chef took a special Dutch import to transform the only S’mores bicycle around. Palmetto Bluff offers flavored marshmallows like mint, caramel, and chocolate along with the classic flavor and milk and dark chocolate wafers for melting. A S’mores bike for the win! These offerings are free to guests every day. In between the two, there is another daily treat called Culinary Heirlooms. 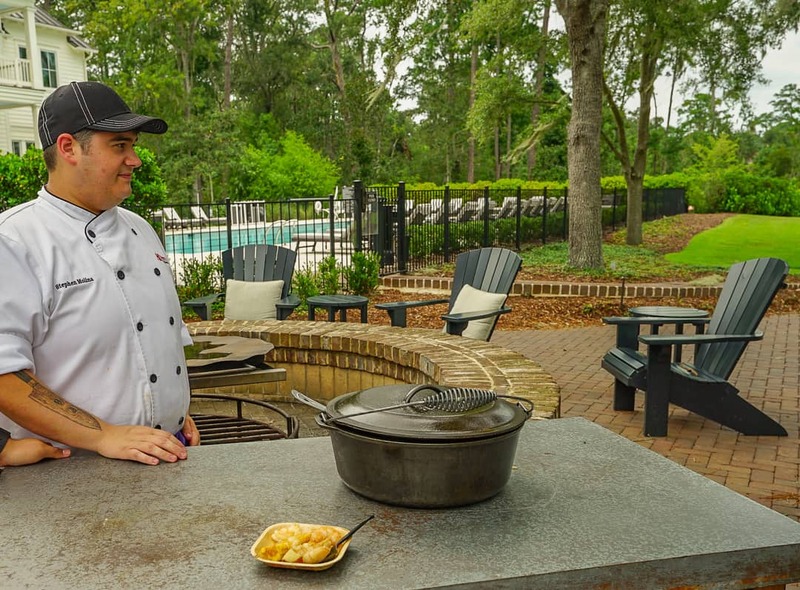 The resort chef prepares a local dish near the pool. I was thrilled to get the last portion of Frogmore Stew, a Lowcountry boil with shrimp, corn, potatoes, and sausage. The last sample of Frogmore Stew was waiting for me. 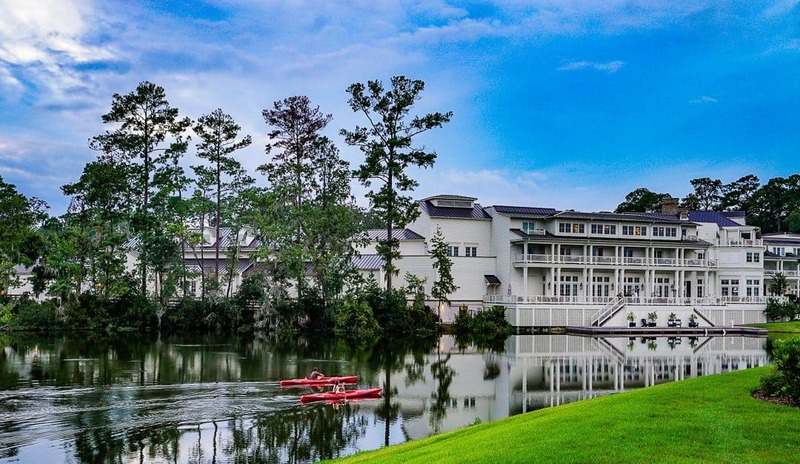 The Montage Palmetto Bluff offers all of the traditional resort amenities. A Jack Nicklaus signature golf course and eight clay tennis courts provide golfers and tennis players their fix as well as daily clinics for those learning. Bocce ball and croquet are available, though the grounds were soaked from rain when we found them on our biking adventure. The Palmetto Bluff Shooting Club offers thirteen clay shooting stations. Children aged six and older can participate in the archery program. 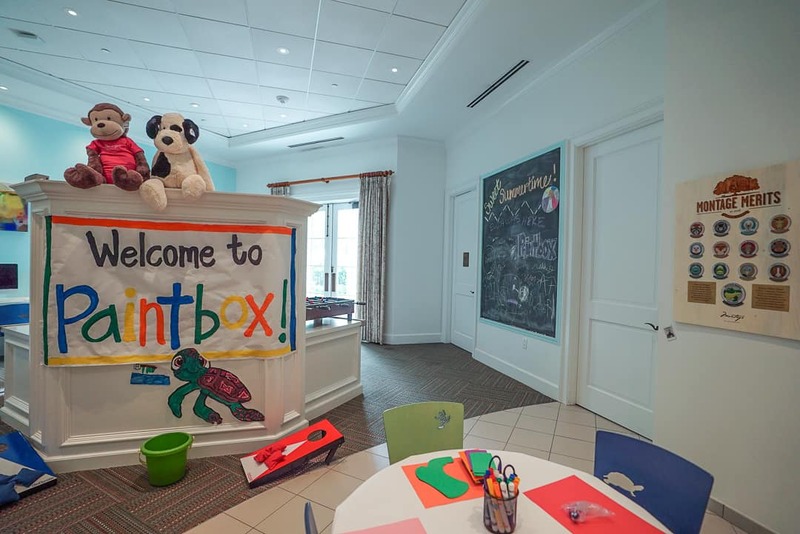 The Paintbox Program at the hotel offers both the traditional kids’ club environment with crafts, games, and movies, but the program utilizes the many features of the property as well. 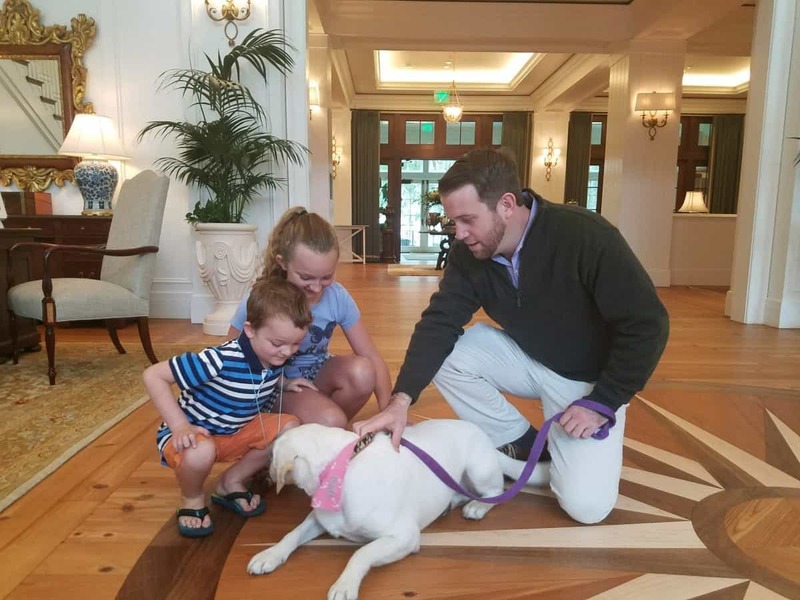 Children can visit the stables and groom the horses, meet the hotel dogs (called canine ambassadors) during their daily pet and greet in the lobby. All of the labs are names after area rivers. Though we didn’t do it, the resort offers a “Paint the Pony” experience, where kids three and older do not color by numbers. They paint a real pony! Paintbox does a wonderful job of utilizing the full resort for various adventures. The Montage Canine Ambassadors are labs names after the area rivers. Most kids get very excited to participate in the Montage Merits program. Like many hotel scavenger hunts, the Montage takes it to a new level with fancy collectible pins for each experience children try on property. My kids loved acquiring each pin associating a level of pride with every new one secured in their holder. This is what kept us so busy instead of lounging by the pool. The Inn offers an adult pool located off of the fitness center and spa and the main resort pool with a peninsula like setting overlooking Bird Island, a massive mound of lush vegetation filled with beautiful birds. The main resort pool at the Inn. The main pool offers a nice kiddie pool and hot tub, and guests can order poolside lunches from Fore & Aft. Cabanas are first come first serve and provide some shade and privacy but no additional services. 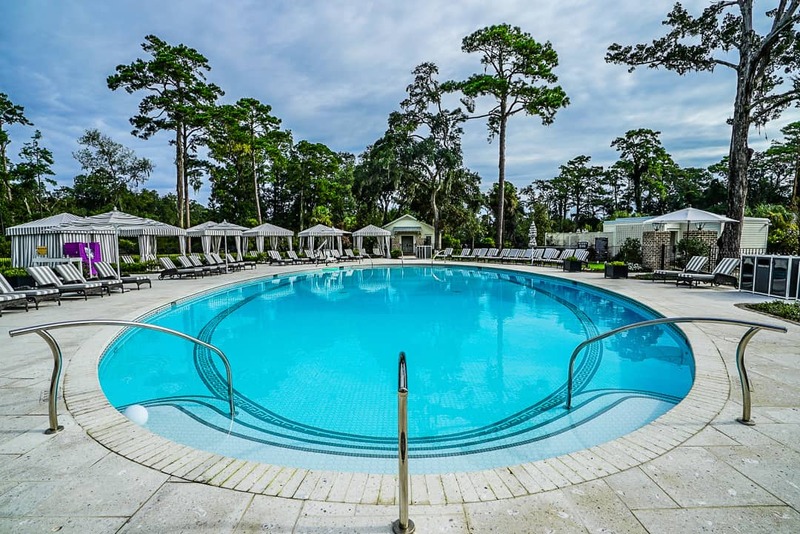 The adult pool at the Montage Palmetto Bluff is off of the spa and fitness center. The pool is mellow with no family slides, just pool noodles. Children actually spoke to each other and made friends without so many distractions. We hd a lovely conversation with a six-year-old girl from England explaining to my children why she didn’t know what grade she was in since the school system was different. I squeezed a spa appointment in during one of my kids’ sessions at Paintbox and received a wonderful massage with my massage therapist. I couldn’t linger, but the spa is somewhat straightforward. 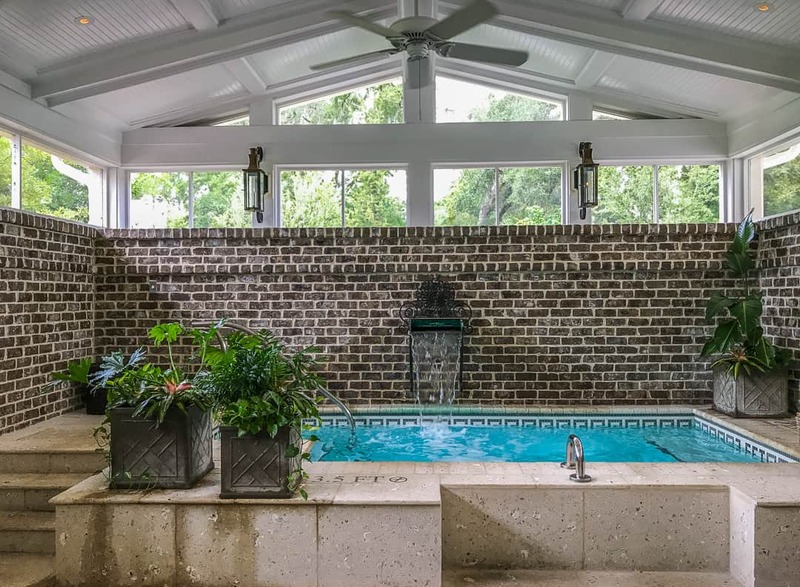 There’s a lovely jacuzzi in the wet areas, but it is limited in terms of large lounge areas for couples. 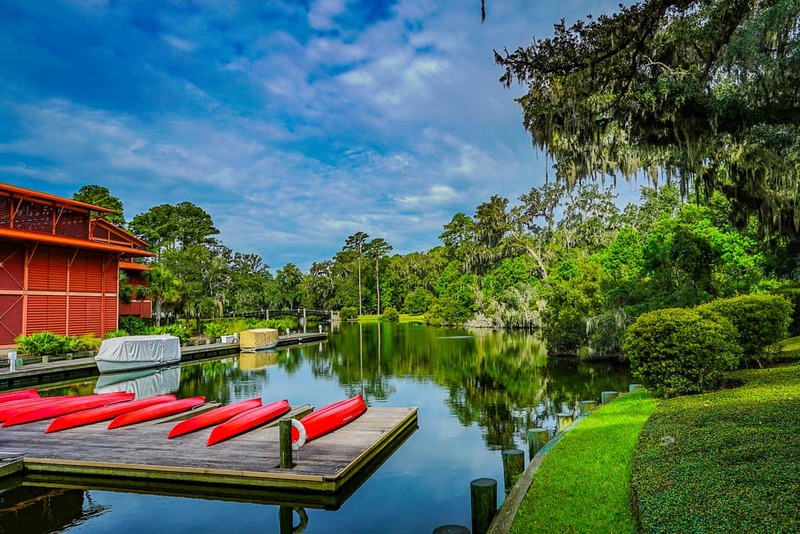 There are many ways to enjoy the freshwater lagoons at the resort with borrowed kayaks and canoes. Daily fishing charters, dolphin and sunset cruises, and kayaking trips can provide every type of water activity. There are also several daily water shuttles to places like Hilton Head Island and the Bluffton farmers’ market. 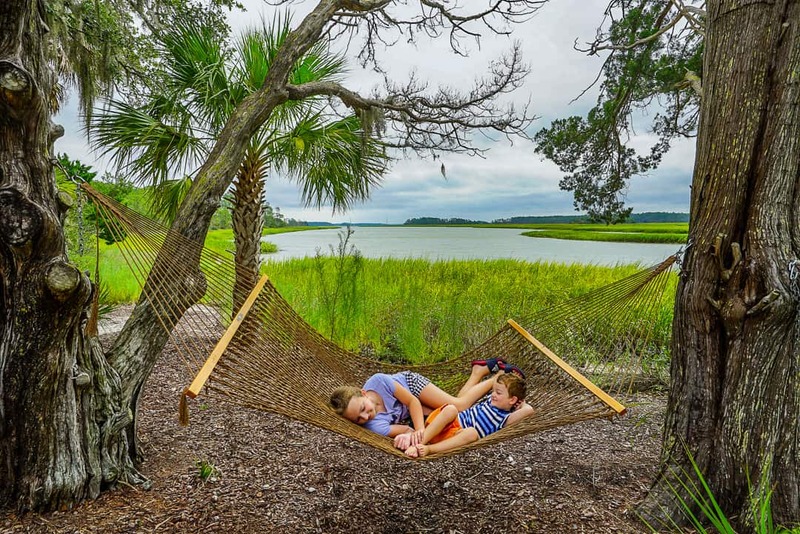 There are also longer day tours to explore the beaches Daufuskie Island, the less crowded neighbor south of Hilton Head Island. 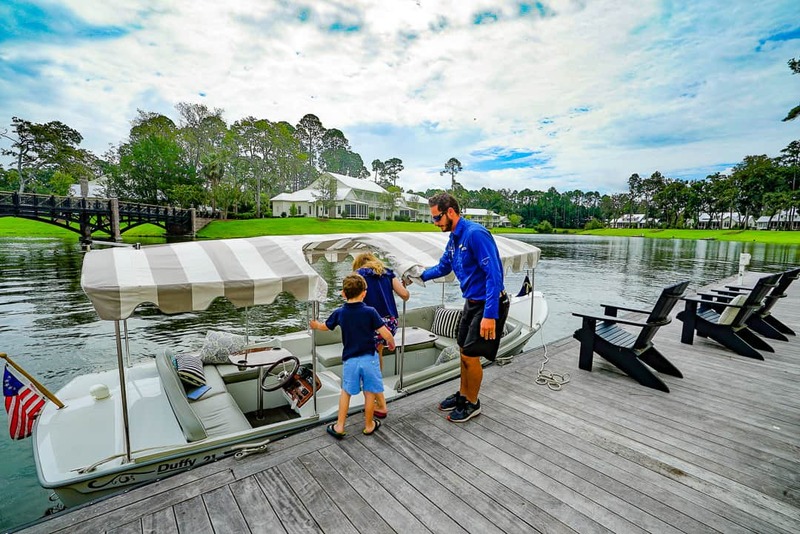 Even if you don’t get on a boat, you must visit the Montage Palmetto Bluff dock. The Inn has guest rooms and suites upstairs that provide instant access to the spa, Paintbox (the kids’ club), a fitness center and pool, and the main resort pool. We had a suite in one of the guest houses, however, and those are scattered near many smaller cottages facing the rivers or lagoons. 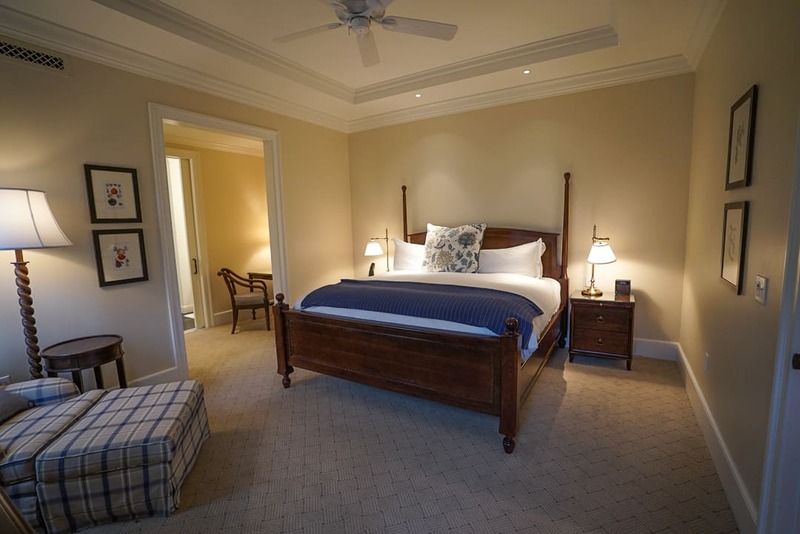 The free standing cottages and guest house suites at the Montage Palmetto Bluff are perfect for families. Our one bedroom suite had an expansive layout with a large living room with fireplace and sleeper sofa, two bathrooms, and an enclosed porch with lounge and dining furniture. 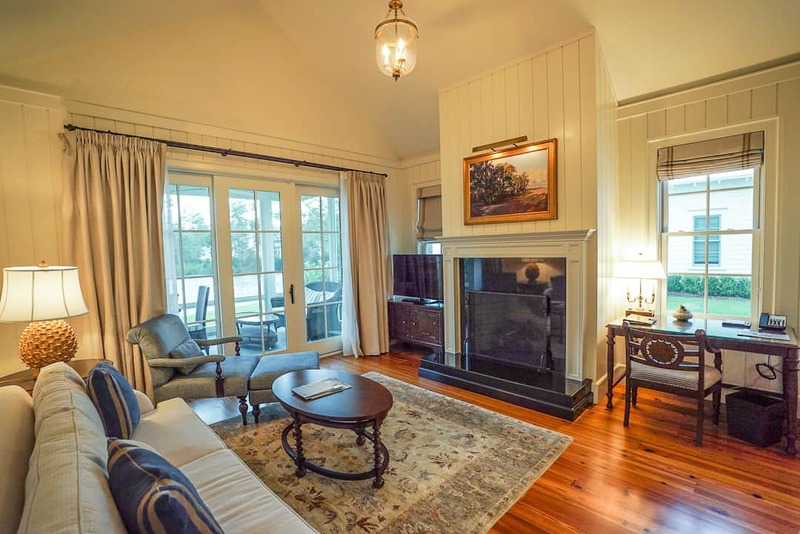 The suite’s living room and enclosed porch overlooking the lagoon. Our bathroom highlights were the freestanding tub with shuttered plantation shutters overlooking the property and a two person shower. Amenities were plentiful including travel size sprays of insect repellant. I am a mosquito magnet, and, fortunately, I didn’t find I needed to use it during our stay. Our spacious bedroom came with a vanity area and full-sized walk-in closet. The cottages are spacious and had a massive walk-in closet, two desk areas, and sufficient drawer space for a large family to spread out and settle in for a week. Nestled among the many private residences, the Montage manages a few houses in the village, some up to four bedrooms, for those seeking a true vacation home experience with all of the resort amenities. A resort this large has several restaurants, and we didn’t try them all. But what we tried was delicious. 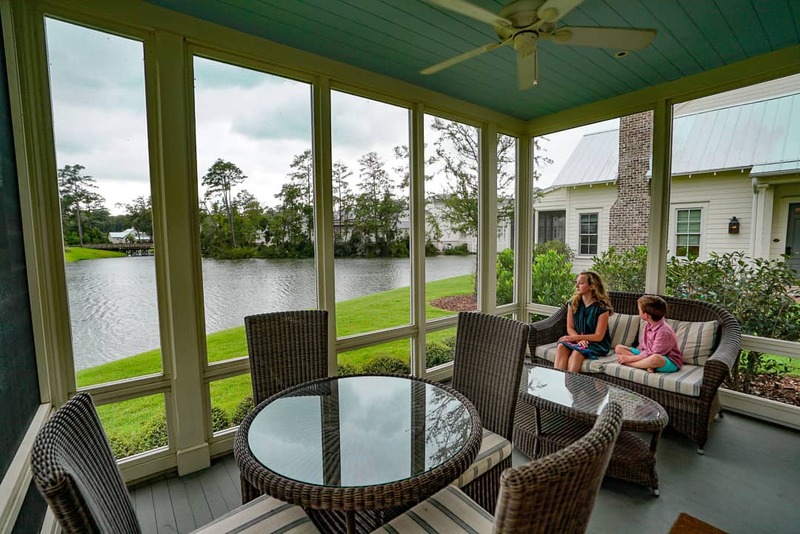 Nothing rivaled breakfast in our screened in porch in the mornings. The scenery and views of the birds’ movements was a perfect start to each day. We tried lunch at Jessamine and Fore & Aft and enjoyed dinners at Buffalo’s the resorts all-day restaurant in Wilson Landing. For a Southern resort, I found meal times at night to be casual and easy on families. We didn’t try the more formal restaurants, but we will definitely return and try the Canoe Club and Cole’s for dinner. The newest restaurant, Cole’s, and Moreland Village. Palmetto Bluff is a truly special place. Checking out wasn’t easy. I got very used to seeing the backs of my children on their bicycles laughing and peddling to their next adventure while I tried to keep up. I personally really embraced the casual vibe and enjoyed a break from the Southern resorts that parade a sea of navy blazers on their male guests of all ages at dinner. I think I even stopped putting on my make up during the stay and enjoyed air drying my hair by bicycle. And no, there are no pictures of this on purpose. 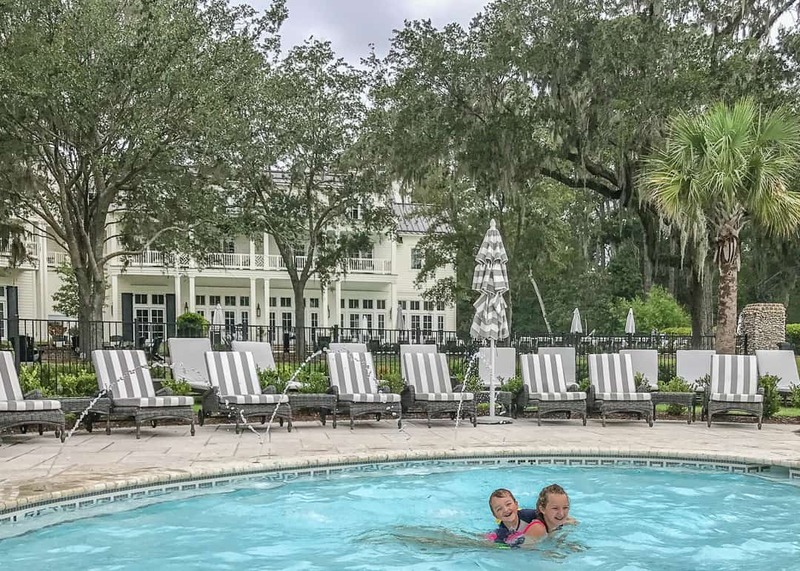 I recommend the Montage Palmetto Bluff for families who seek that perfect combination of outdoor adventure with understated luxury and sophisticated activities. Although we were guests of the Montage Palmetto Bluff, these opinions are my own. 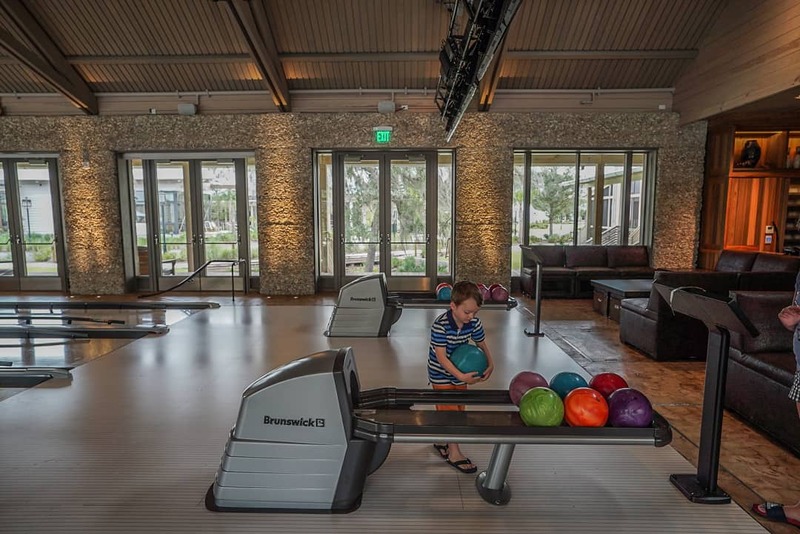 The Montage Palmetto Bluff is a magical place for kids of all ages. Children have the freedom to express their creativity, learn about the natural world, or just splash in the pool. 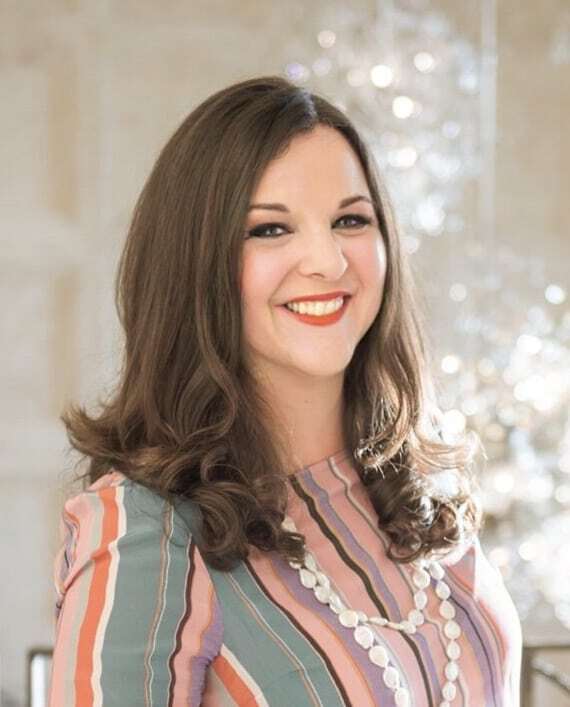 As a luxury travel advisor, I help ensure your vacation goes off without a hitch. From the selection of the best cottages or rooms to the VIP welcome amenities, your trip to the Montage will have those little extra moments of joy. My agency, DeSalvio Travel, has access to exclusive discounted rates, complimentary room upgrades at the time of booking, a $100 spa credit, free breakfasts, and personalized welcome amenities. Sure, you could book your trip on your own, but you’d miss out on hundreds of dollars in exclusive amenities, as well as personalized VIP treatment by the staff at Montage Palmetto Bluff. Please get in touch to set up a vacation consultation to elevate your vacation planning experience.